Amanda Moar Kerbawy, PhD, LP is a fully licensed psychologist in the State of Michigan. Dr. Kerbawy provides therapy services to children, adolescents, adults, parents, students, couples, and families. In her clinical therapeutic work, Dr. Kerbawy emphasizes listening, empathy, and support when working with her patients. She additionally strives to empower her patients, and help her patients learn and utilize evidence-based therapeutic tools and strategies in order to best cope with their presenting concerns. Education: Dr. Kerbawy achieved her BA with honors in psychology from Claremont McKenna College in Claremont, CA. She holds a Master’s degree in Counseling Psychology (with an emphasis on Marriage and Family Therapy), and a PhD in Educational Psychology (with a School Psychology concentration) from Wayne State University. Clinical Experience: Dr. Kerbawy has carried out therapy, school advocacy, and psychological assessment services in community mental health and private outpatient clinics as well as the public school system. Dr. Kerbawy has extensive clinical experience in the areas of child, adolescent, and adult psychopathology and psychotherapy, as well as cognitive, academic, and psychiatric assessment. Client Population Served: Dr. Kerbawy currently provides therapy and school advocacy services to children as young as five years old, adolescents, adults, parents, students, couples, and families. She specializes in working with those experiencing Generalized Anxiety, OCD, Panic, Social Anxiety, Depressive and Mood Disorders, ADHD, Defiance and Conduct Problems, Anger, Learning Disorders (in particular Reading Disorders), Stress and Adjustment Disorders, Sleep Disorders, Parenting Difficulties, and Relationship Difficulties. Therapeutic Philosophy: Dr. Kerbawy provides research and evidenced based cognitive behavioral therapy, and takes a structured and solution-focused approach to therapy. Her goal is to work collaboratively with patients to establish cognitive, behavioral, and mindfulness tools and strategies that help her patients best manage their presenting concerns. Dr. Kerbawy strives to empower her patients, believing the most effective treatment includes patients taking the lead in establishing the desired changes in their lives. Dr. Kerbawy also strongly believes that it is important for one to be able to release their feelings and emotions and receive empathetic understanding and validation. As a result, Dr. Kerbawy makes her office a safe, open, non-judgmental, and empathetic place where one can pursue this release. 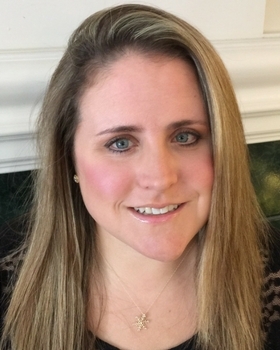 Getting to know Dr. Kerbawy: Amanda grew up in Minnesota and attended college in Connecticut and California. She fell in love with the California sun and beaches! After college, she moved to Vail, Colorado for 2 years to work, ski, hike, and camp. Amanda then moved to Michigan to attend graduate school. She cherishes her experience living around the country, meeting a diverse group of people. She feels this exposure has influenced her to establish an open and non-judgmental perspective, positively impacting her therapeutic work. In Amanda’s spare time, she enjoys chasing her very active three-year-old daughter, reading on her deck, going for walks, spending time on the lake with her husband and daughter, and skiing. Amanda is passionate about her psychological and therapeutic work, and helping her patients establish the healthy mental, emotional, and behavioral lifestyle that they want and deserve.